10. Posters are a great way to introduce a project or case study that may not be ready for a for a full-fledged conference session. 9. If you’re looking for feedback about an aspect of your work, the mighty poster is an ideal way to kick-start that conversation. 8. Posters allow students with an eye to museum work the opportunity to share the great things they are learning and working on. 7. The session happens during a food break so there is a guarantee of snacks and a decent chance of coffee appearing. 6. Emerging museum professional that present posters have the chance to meet and talk with other museum people and make important connections. 5. Posters are full of nice pictures and graphs. Who doesn’t love a good graph? 4. It is an excellent time to meet new colleagues and practice the networking tips that Wendy Meluch gave you in her Networking 101 pre-conference session (FREE on Sunday, October 5 immediately before the FREE Opening Reception). 3. Presenting a poster is good for your CV/resume/scrapbook. 2. Having discussions with cool people about new ideas and interesting work is a pretty great way to spend some time. 1. It’s like going to a museum! The room is literally filled with cool graphics, informative text, new or challenging ideas, and amazing people who have dedicated their time to making museums essential community places and spaces. A lot of work goes into boiling down an important project to the most essential parts and then fitting it all onto a 3x4 piece of poster board. 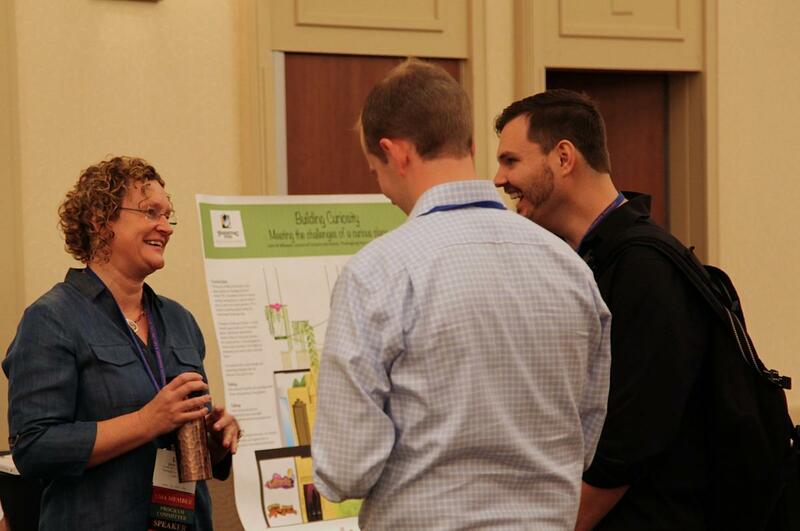 The Program Committee has selected a group of posters that should provide for an engaging and thought-provoking session at the Las Vegas 2014 Annual Meeting in October. Whatever you do, don’t skip the 2014 Poster Session (did I mention the coffee?) to be held the morning of Tuesday, October 7. Lorie Millward is the Curator of Curiosity at Thanksgiving Point Institute in Lehi, Utah. She was on the 2013 and 2014 WMA Program Committee, as well as on the 2014 WMA Poster Review Committee. Just want to see if you are a robot.